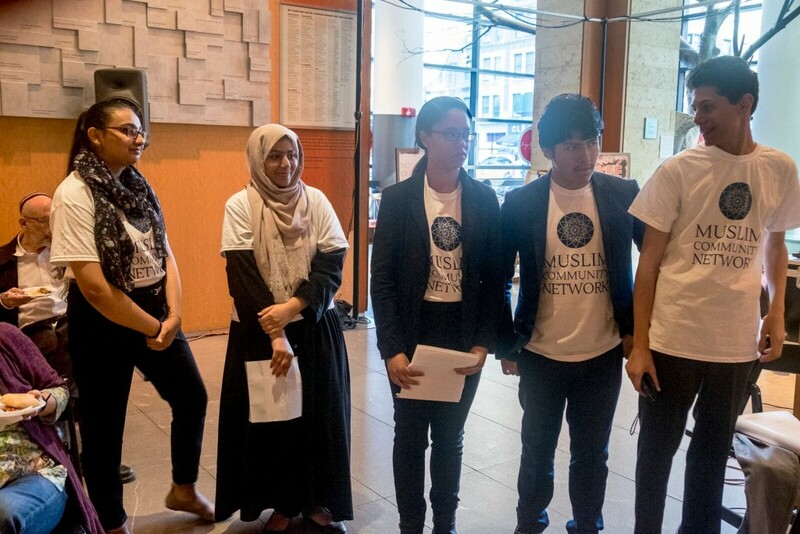 This summer, Muslim Community Network launched the Generation Peace Fellowship, a youth leadership development program that brings together multifaith teens to break down barriers and build inclusive communities where everyone is treated with dignity and respect! The Generation Peace Fellowship is a two week program that empowers 10 multi-faith youth with leadership skills, develops their confidence and identity as leaders, supports their growth in religious literacy and exposure to the diverse faiths of New York City. Fellows participate in interactive skill- building workshops, visit various houses of worship and are provided with seed grants to design and implement their own self-designed Peace Projects. Students visited a Sikh Gurdwara, Hindu Temple, Synagogue, mosque and a Church to learn about their respective faith traditions and teachings about community and service. 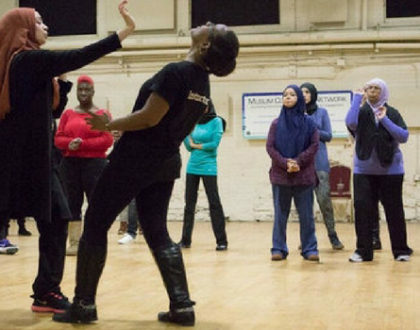 At the Islamic Center at NYU, Fellows Mohammud and Kuntum spoke to their peers about Islam. They explained the difference between Shiites and Sunnis and the five pillars of Islam, which are the main foundation. 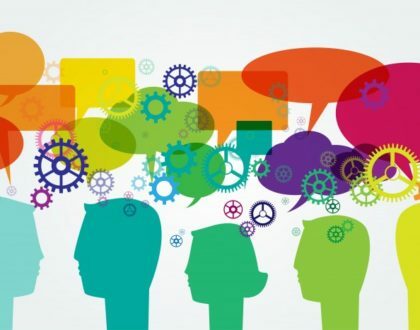 They also discussed the stereotypes associated with Islam and the impact misinformation has on them as Muslims growing up in the United States. Kuntum mentioned that when she was attending elementary school she was often teased about wearing the hijab. Fellows also learned from community leaders and professionals in social justice fields. Here, Nicole Ferraro talks about the art of storytelling and the impact youth can have by sharing their own stories. She demonstrated various public speaking and storytelling techniques that can engage every audience member and influence or change their perspectives on issues that impact the community. Fellows were so inspired that they chose to create a documentary on bullying within the NYC public school system as their Peace Project, which you can watch by clicking on the video at the end of this post. Fellows hosted a screening of their documentary and Know Your Rights workshop in October to showcase their film and the leadership skills they had acquired during the Fellowship. 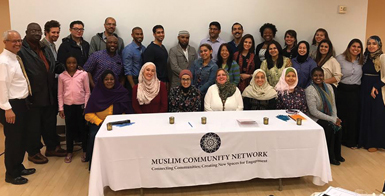 They lead a panel discussion with representatives from the NYC Commission on Human Rights and CAIR NY which included students’ rights, the process of addressing incidents of bullying within the Department of Education and the importance of parent involvement. The program concluded with a certificate ceremony and Fellows sharing how the Generation Peace Fellowship impacted them as future leaders. 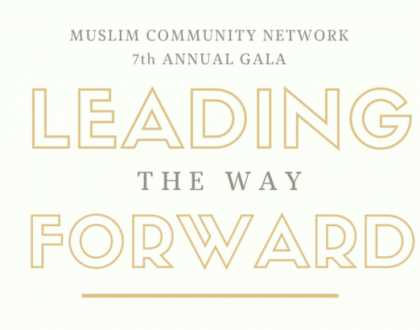 As Fellow Darwin Penaloza said, “I was able to be confident in my work and now I have gained the resources needed to become an effective leader.” Muslim Community Network congratulates the Generation Peace Fellows on their hard work and dedication to the program and their creativity in addressing school bullying.